Condé Nast contacted us back in the summer, seeking beautiful vintage pieces for the Homes & Gardens, Spirit of Christmas Fair at Olympia. 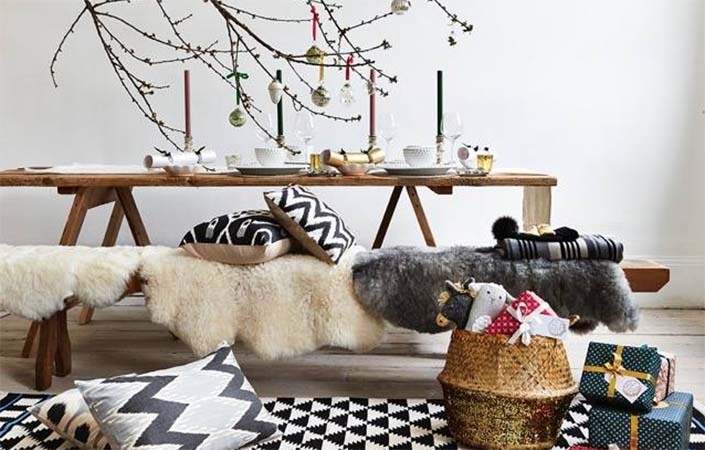 We love the results of this modern rustic photo shoot seen here in their promotional banner image, our vintage trestle table dressed with minimal decor alongside our wooden bench and a scattering of stylish modern bold print cushions, and sheepskins lending softness and a luxurious feel. Oh how I wish my Christmas looked so beautifully effortless!